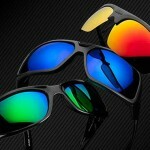 Ryders Eyewear continues to impress with their new line of antiFOG performance eyewear. 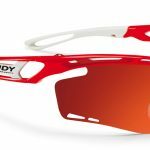 The antiFog eyewear introduces Ryders’ latest lens technology; as always, the polycarbonate lenses are shatterproof, scratch resistant, and provide 100% UVA, UVB, and UVC protection. The antiFOG properties of the Ryders lenses are nothing short of AMAZING. 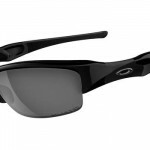 The front of the lenses have a hydrophobic treatement to ensure water runs off the lens at first contact. Sweat and rain run off the lens, leaving a field of vision clear of large, intrusive drops of water for a safer ride. I was able to test several pair of sunglasses with the Ryders antiFOG lenses including the Thorn and Caliber. I found the eyewear to be comforable and high-performing. Truth be told, I have been underwelmed in the past by anti-fog products. From goggles and masks to lenses and auto products, I just haven’t had much success finding products that live up to their claims. That being said, the antiFOG properties of the Ryders lenses are nothing short of AMAZING. In my on the bike testing the lenses just didn’t fog up. In fact, I put off this review, in part, because I just assumed I wasn’t riding in the right conditions to get them to fog up. Finally, I decided to put an end to my questions about whether or not they were really performing as claimed. Maybe, I was just missing out on the proper fog-inducing riding conditions. As you can see in the video below, when put up against a set of my other sunglasses, the results were pretty remarkable. Using a bottle warmer, I placed the Ryders Eyewear antiFOG glasses directly above the steam and arranged my set of Oakley sunglasses next to them. To be fair, the Oakleys were not designed with any anti-fog capabilities but they do provide a nice control for comparison. As steam enveloped the glasses I was seriously impressed, the Oakley lenses fogged up immediately while the Ryders antiFOG lenses remained fog free. Despite being bombarded by steam, the lenses remained absolutely crystal clear. 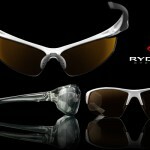 Ryders lenses provide great optical clarity, comparable to sunglasses that cost twice as much. 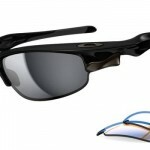 The photochromatic yellow tinted lenses are great for low-light conditions. The yellow tint provides great contrast on the road and in the woods. The photochromatic lenses adjust to changing light conditions and a great for days of varying light conditions. 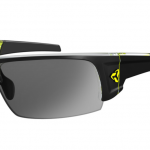 Ryders Thorn antiFOG sunglasses offer great style and superb performance. The hydrophobic coating sheds water nicely when riding. Sweat and rain simply roll off the lenses, reducing or eliminating large drops and streaks of water that would otherwise interfere with your vision. I found myself wearing these lenses while doing yardwork on a 107 degree day. The hydrophobic properties came in very handy with all the sweat that was pouring off of me. When the moisture hit the lenses it more or less just rolled off. There was some minor adhesion of the water along the bottom edge of the lenses as it ran off the face of the glasses. This created a small rim of water pooling along the lower edge of my field of vision due in part to the cohesive properties of the water molecules. This was not a big issue and it was definitely better than having moisture obscuring the lenses directly in the line of sight.